Barrel~dEM: 500th Post @ Barrel~dEM!!!!!!!!!!!!!!! We've reached our 500th post at Barrel~dEM in a little under 9 months. We have about 9,000 pageviews since then from as far away as Australia and the top countries being the United States, Russia, United Kingdom and Germany. I thought in celebration we could do some trivia based on the artists we've shared. I'll share one for each contributor and spread them out over the coming posts. Here's one from Captain Andy for now. Check back later for the answers in the comments. 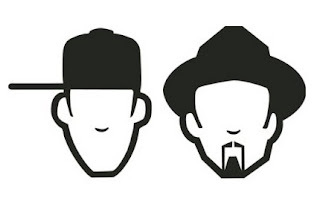 Who, according to various sources either temporarily borrowed the Masters At Work moniker, or actually bestowed it upon the legendary house duo - Kenny "Dope" Gonzales and "Little" Louie Vega? Nope it was .... just kidding - Todd Terry!!! Way to go Elle!